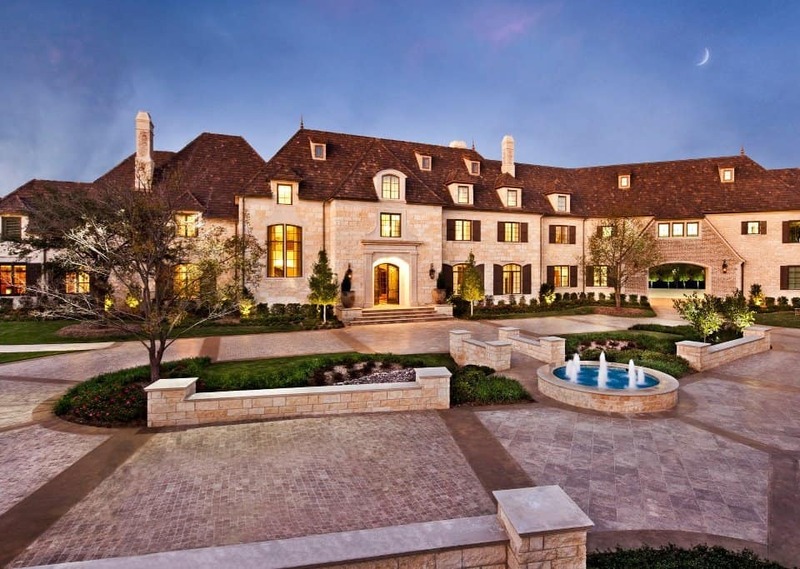 Luxurious homes are located across the nation. This list showcases a variety of homes worthy of the title ‘mansion’. The architectural style, outdoor living space, and landscaping are elements that contribute to these homes making it onto this list of most stunning homes. From castles to antebellum homes, these are homes that must be seen to be appreciated! For example, The Satsang Estate in California is one of the most stunning of all the homes in the United States. Its beauty is breathtaking! When the country was young and expanding, Americans lived in log cabins. Log cabins still captivate those with the pioneer spirit, but this home made of glass, stone, and logs is not an ordinary cabin! The fabulous windows and balconies are just two of the attention grabbing features of this home. This view is of the back of the Satsang Estate located in Yorba Linda, California. From the upper balcony, the nightly Disney fireworks show is visible. The home features 10 bedrooms and 9 full bathrooms. Amenities include a ballroom, theater with seating for 12, an indoor pool and fitness center, and 80 solar panels for energy efficiency. Harry Potter Fans: Here’s Your House! 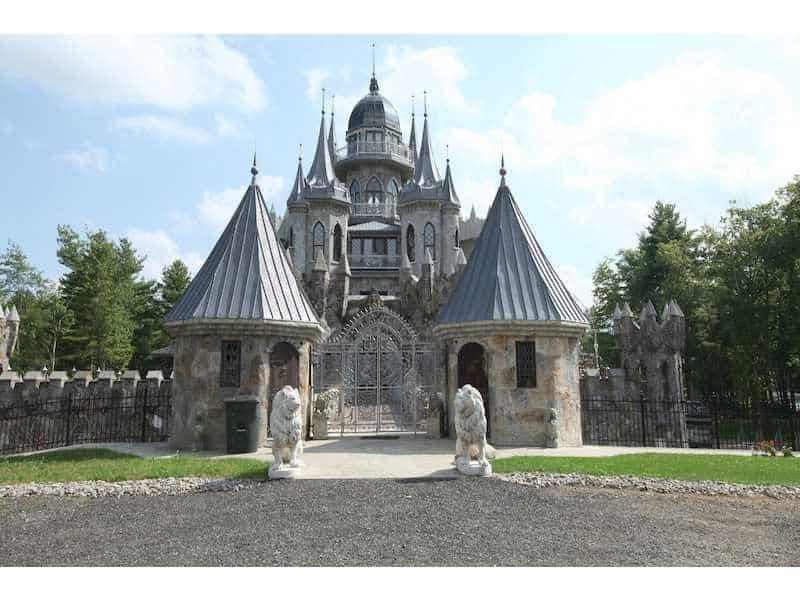 This castle transports you from Connecticut to the written world of Hogwarts. It is equipped with 10 bathrooms, 8 bedrooms, and a moat. The turrets make this home one of a kind in Woodstock, Connecticut. It has been dubbed the Chrismark Castle. The West Buttermilk Ranch house sits on a majestic 44 acres near Aspen, Colorado. It was designed by Rob Sinclair. It is located near the Buttermilk chairlift. It features two master suites and four guest suites, including 5 full bathrooms and 4 half baths. There are two fireplaces, one is the central element of the great room and the other takes the office to a cozy level. 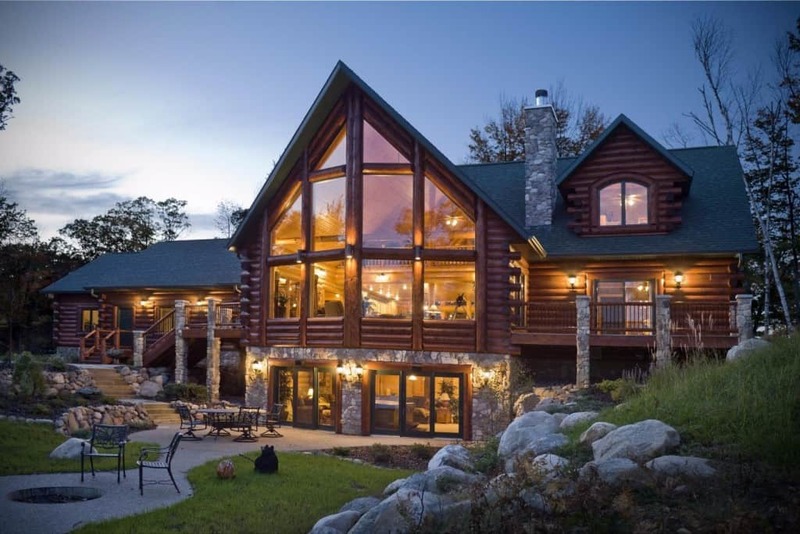 Located on Mullett Lake, Michigan, this beautiful home features turrets and curves. 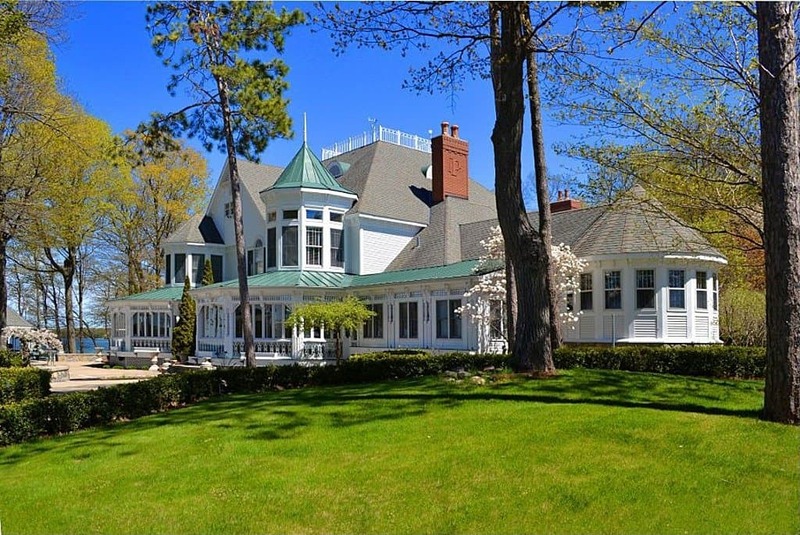 It boasts 10 bedrooms and 15 bathrooms and sits on 14 manicured acres. This architectural dream house is located in Utah. It is a multilevel mansion built with enjoying life in mind. This multistory home is reminiscent of the steamboat paddlewheelers that cruised the Mississippi River with the required balconies and dual smokestacks. It is beautifully built and spacious. Gary Keith Designs are responsible for creating this fabulous Mediterranean style home located in Houston, Texas. It features a curved staircase with a dual story foyer and great room. The terraces are perfect locations for drinking the first cup of morning coffee. This modern mansion has all of the amenities that you would expect in a mansion. It is simply stunning! This luxury home has a fabulous rear exterior that is showcased in this photograph. The luminescent pool reflects and provides an amazing sight. The windows provide an abundance of natural lighting and allows the occupants to enjoy the view of their backyard. Mark Molthan, Robbie Fusch, and Ashley Astleford were the designers of this gated estate mansion featuring 8 bedroom suites and an indoor basketball court. The home sits on three private acres. This luxury home’s rear exterior features a curving covered walkway as well as a terrace that overlooks the pool. Lounging here would definitely be a treat for the homeowner. No list of stunningly beautiful homes would be complete without including a magnificent mansion in Bel Air. 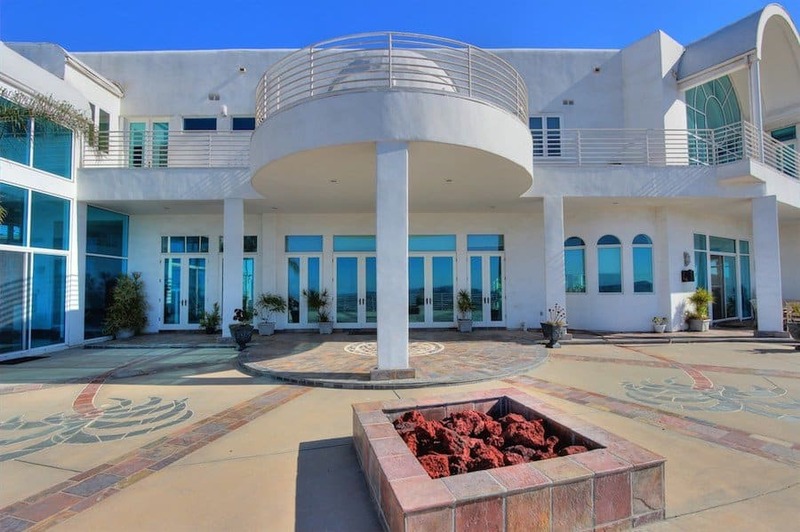 This particular Bel Air mansion features curves, 7 bedrooms, and 11 baths. 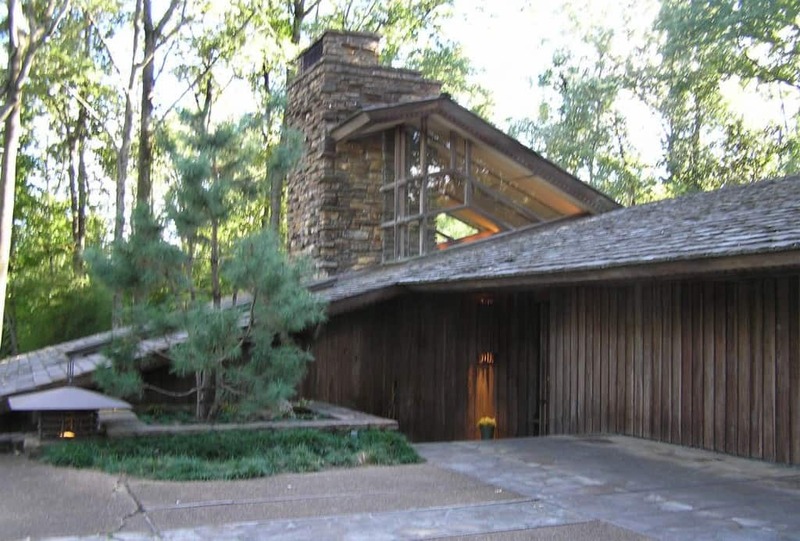 It has approximately 17,000 square feet of living space. A gourmet kitchen, sauna and steam room, and two story closets make this an ideal home! This Beverly Hills mansion has a sordid past. It has been showcased in film; it was used in several scenes in The Godfather and The Bodyguard. It is easy to see how they chose this for a back drop of a movie! It even was the location of a real life honeymoon hideaway for America’s sweethearts, John F. Kennedy and Jackie. This rental vacation home is located on Martha’s Vineyard, Massachusetts. It is built with a terrace overlooking the pool. It looks as if it could be the setting of a fairytale vacation. 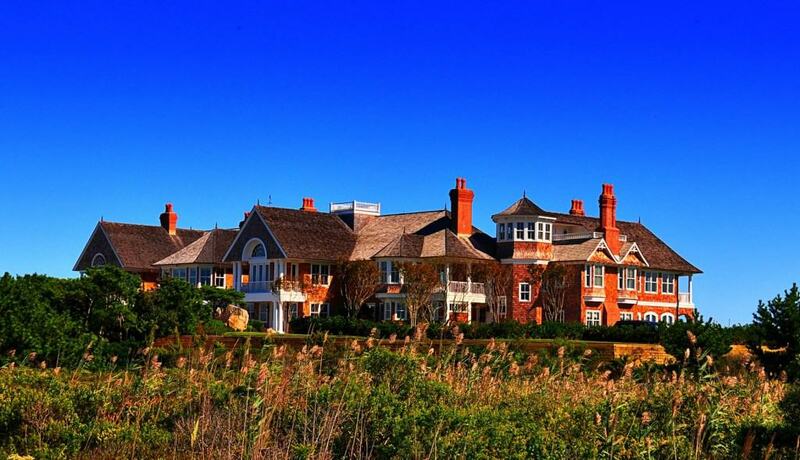 This spacious luxury home is a hideaway located in The Hamptons. This particular home has a spectacular view of the beach! 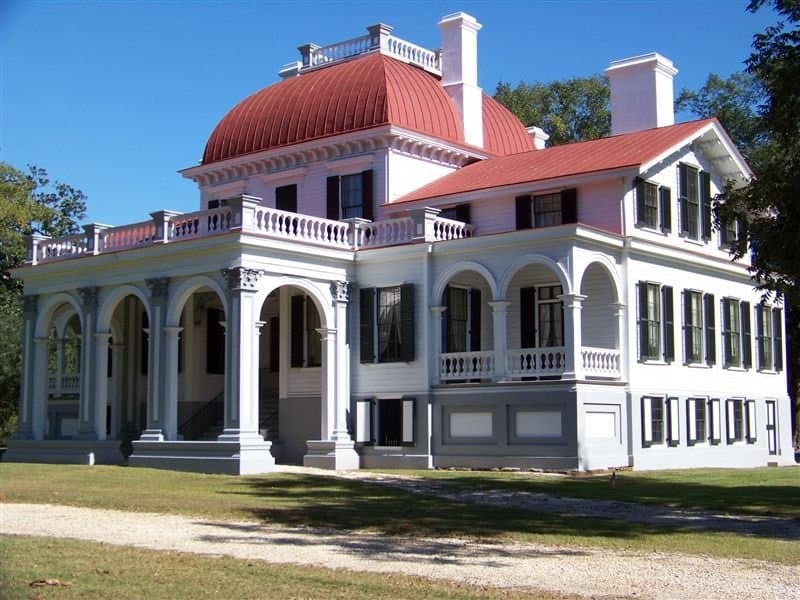 Located in South Carolina, Kensington Mansion is a historical home that was completed and ready for occupancy in 1854. It is a home on the National Register of Historic Places, and it is just as lovely now as it was in its heyday as a plantation home. It is a classic antebellum treasure. 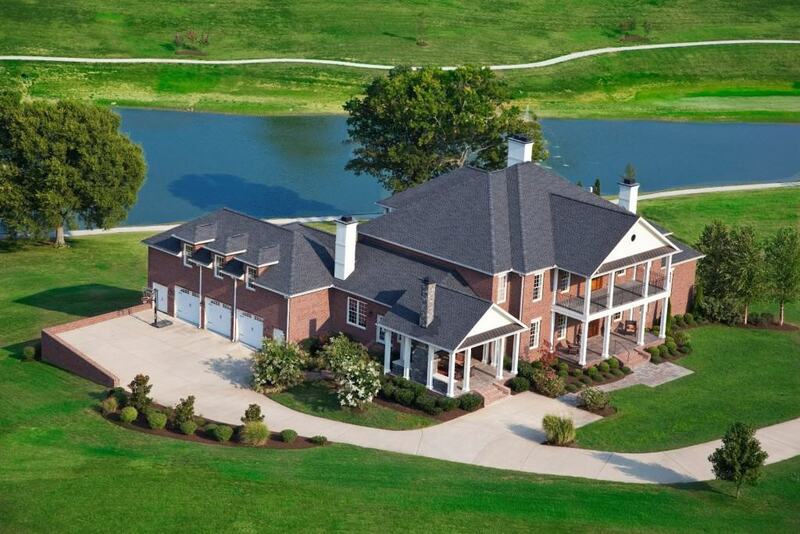 This luxury home is located just minutes from downtown Franklin, Tennessee. It is perfect for a huge multigenerational family with its spacious floor plan and multicar garage. 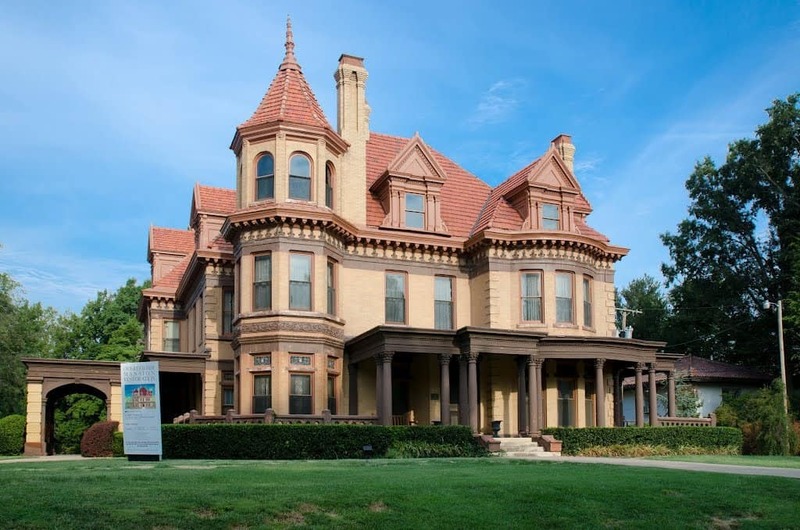 The home of the Father of Oklahoma City, Henry Overholser, is an architectural masterpiece. The brick and stone Overholser Mansion was completed in 1903. It features 20 rooms and the magnificent Victorian stylings. This luxurious stone home is located on a mountaintop in Scottsdale, Arizona, and is situated on 5 acres to guarantee the privacy of the residents. It features almost 12,000 square feet of living space. It features 6 bedrooms, 9 bathrooms, stone archways, a 16-seat home theater, and an outdoor living area that you wouldn’t want to leave.